The current value of Mexican exports of steel and aluminum to the United States is approximately US $2.8 billion. In recent days, the administration of Donald J. Trump has levied duties on imports of steel and aluminum. While steel coming into the country will be charged a twenty-five percent premium, aluminum will be taxed at ten percent rate. However, Mexican exports of steel and aluminum, as well as those from Canada, have been given an exemption. Mexico gains two advantages as a result: (1) time to improve its negotiating position vis a vis the North American Free Trade Agreement, and (2) the means by which to better defend the health of the country’s steel sector. US steel and aluminum purchases from Mexico represent less than .4% of the latter country’s gross domestic product (GDP). Only Canada and South Korea surpass Mexico’s exportation of steel to the US market. In response to the exemption of Mexican exports of steel and aluminum from US tariffs, Luis de la Cruz, the director of Mexico’s Institute for Industrial Development and Economic Growth, (IDIC) explains that “because of the exemption of Mexico from these newly implemented tariffs, the health and integrity of the Mexican steel sector will be maintained.” He also stated that the “exemption of Mexican steel from the new taxes will also help to maintain certainty in Mexico’s automotive industry.” According to de la Cruz, it is most likely that the exemption of Mexican exports of steel and aluminum from the US levied import duties will be a permanent one. Reports on the topic have pointed out that among the countries that will most likely feel the brunt of the adverse effects of the new tariffs are the Gulf States, and, in particular, Bahrain. Bahrain exports large quantities of aluminum to the world’s largest economy. The newly imposed duties will also be felt significantly by smaller market countries that produce steel for export such as Vietnam and Taiwan. In general, however, because commercial flows from these nations are small, and the impact on the US economy will be a limited one. In addition to Mexican-owned companies, steel manufacturers with operations in Mexico will also benefit from the exemption. 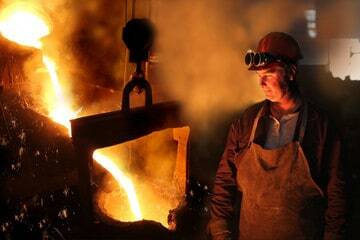 Homegrown manufacturers of steel include firms such as Altos Hornos de Mexico, Ternium and Tamsa. The Brazilian firm, Gerdau, also has a presence in the country. Steel and aluminum that is made in Mexico by both domestic and foreign firms go to the automotive industry, as well as to the construction industry. It is also used in the manufacture of machines for the metal mechanics industry and in the electrical and electronic equipment industries. Mexico exports US $1 billion worth of steel and US $1.8 billion of aluminum to the US market. Products that incorporate Mexican steel into their manufacture also represent an additional US $6 billion in value. How will the automotive industry be affected by the exemption of Mexican Exports of Steel and Aluminum? For much of the Mexican automotive industry, the country is a net importer of special steel that is used in the manufacture of high-tech auto parts. This is so because these items have stringent technical and quality requirements that US producers can meet. This specialty has certain characteristics of purity and hardness that is specific to high-quality auto parts and is important to overall product quality and safety. With respect to these items, Mexico has a trade deficit with the United States of US $7 billion. This means that, in the aggregate, Mexico imports almost as much steel into its country as it exports to the United States. In addition to sourcing special steel from US vendors, Mexico also, to a lesser degree, purchases this product from vendors in South Korea and in Japan. This latest round of taxes on steel is not the first time that the US government has imposed such duties. Most recently, this protectionist measure was taken in 2002 by the George W. Bush administration. Tariffs were imposed beginning March 5, 2002 and were lifted on December 4th of the following year. This was because research by the United States International Trade Commission revealed that, up to that point, the tariff that the US had placed on steel had resulted in a loss of US $386 million.